Plot: Sixteen-year-old Starr Carter lives in two different worlds, living in a poor neighborhood while attending an upscale prep school. These two worlds collide when Starr witnesses her best friend Khalil get fatally shot by police, even though he was unarmed. Headlines call him a thug, a drug dealer, a gangbanger. But the only person who knows what really happened that night is Starr. Thoughts: This is an incredible book that everyone should read – especially if you're white and especially with everything going on in America. It's an uncomfortable but necessary reminder of the privilege that exists in this country, and the injustice that results from it. It's about Starr witnessing the wrongful murder of her best friend by a police officer, but it's also about what it's like to live in a poor neighborhood. To attend a prep school and be one of only two black students. To have people make assumptions about you based on appearance alone. To feel like you have to censor or even change yourself to be taken seriously. To embrace where you're from. To fight for what's right. To be brave. People like us in situations like this become hashtags, but they rarely get justice. I think we all wait for that one time though, that one time when it ends right. Maybe this could be it." The drug dealer. That's how they see him. It doesn't matter that he's suspected of doing it. 'Drug dealer' is louder than 'suspected' ever will be." That's the problem. We let people say stuff, and they say it so much that it becomes okay to them and normal for us. What's the point of having a voice if you're gonna be silent in those moments you shouldn't be?" Plot: "Modern Romance" is about exactly that – how people interact, date, break up, and connect in today's technological world. 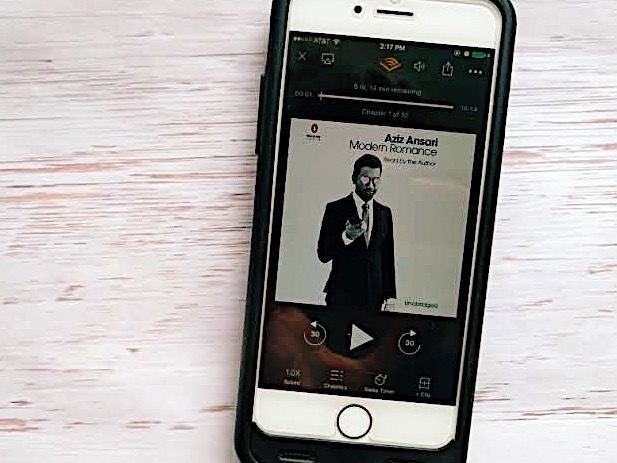 A combination of data, statistics, and humor, Ansari examines differences in the romantic lives of different generations, cultures, and lifestyles. Thoughts: Eh, it was okay. I'm a fan of Aziz. Unfortunately, most of this is stuff we already know – younger people are more involved with technology, texts are analyzed and planned a lot, and millennials are marrying later in life than previous generations. For this reason, I'm glad I went with the audiobook. At least hearing Aziz read it was semi-entertaining. Maybe I'm just not the intended audience since I'm not single? Then again, I don't see it as anything worthwhile for single people either. *Shrug* Overall, nothing special. Plot: "Eleanor & Park" is a classic teenage love story. Eleanor, the new girl at school who's a bit of an oddball. Park, a music junkie who tends to keep to himself. On Eleanor's first day, Park grudgingly shares his seat on the bus with her, and that's where it all begins. Thoughts: YA romance isn't my thing, and as much as I wanted Rowell's to be an exception, it wasn't. I do love Rowell's writing. I thought "Landline" was great, and "Attachments" too. But this one? I dunno. I like that the characters were different. It wasn't Barbie and Ken. Other than that, it was just alright. Maybe I have an unfair preconceived notion against the genre. Plot: In a wonderful combination of humor and truth, Poehler's first book "Yes Please" is filled with stories, about life, work, her childhood, SNL, and how robots are going to kill us all. It'll make you think, make you laugh, and, if you opt for the audiobook where you'll hear clips from "Parks and Recreation," it might even make you cry. Thoughts: Loved it. It was as great as I thought it'd be, plus more. Funny, genuine, and inspirational. I love Amy Poehler, but I actually knew very little about her before reading this. Turns out I can relate to her a lot. I definitely recommend this, especially the audiobook version. It's read very naturally, in a way that sounds more conversational than anything. Of course, you also get more of her humor that way too. Ambivalence is key to success. I will say it again: Ambivalence is key. You have to care about your work, but not about the result. You have to care about how good you are and how good you feel, but not about how good people think you are or how good people think you look." Your ability to navigate and tolerate change and its painful uncomfortableness directly correlates to your happiness and general well-being ... If you can surf your life rather than plant your feet, you will be happier." 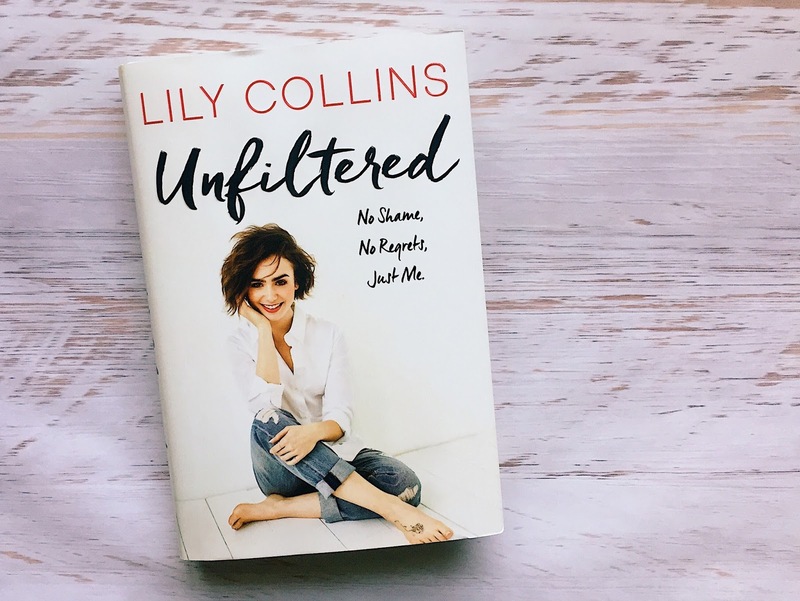 Plot: In her first book, Collins pulls back the curtain on her life, opening up about her eating disorder, abusive ex-boyfriend, and self-doubts. The collection of essays is personal, yet relatable, especially for young women. Thoughts: A good book, but with a very simple writing style... almost too simple. There are too many exclamation marks and cliches. I also felt like there wasn't much substance to it. She brings up interesting stories but seems to only scrape the surface. Still, a brave book with a good message to it. The universe gives us nuggets of inspiration every once in a while during our most trying times and, if we're open and willing to see, they can provide us with immense growth."